The Loppet Foundation :: Donate Today: Help the Loppet unlock $17,000 in matching funds, now through Give to the Max Day (Thursday, Nov. 15)! Donate Today: Help the Loppet unlock $17,000 in matching funds, now through Give to the Max Day (Thursday, Nov. 15)! Thursday, November 15 is Give to the Max Day, and we need your help to meet the largest GTMD challenge in Loppet history! Donations made between now and midnight on Thursday, November 15th will be matched dollar-for-dollar, up to $17,000, thanks to a group of amazing Loppet supporters and board members who believe in the power of our work. You can check our progress (and make a donation) on our donation page. If you’d like to be part of the match but would prefer to donate by check or a stock donation, contact our Development Director, Marin Byrne, at (612) 644-0672 or byrne@loppet.org. With your help, we can reach the finish line! 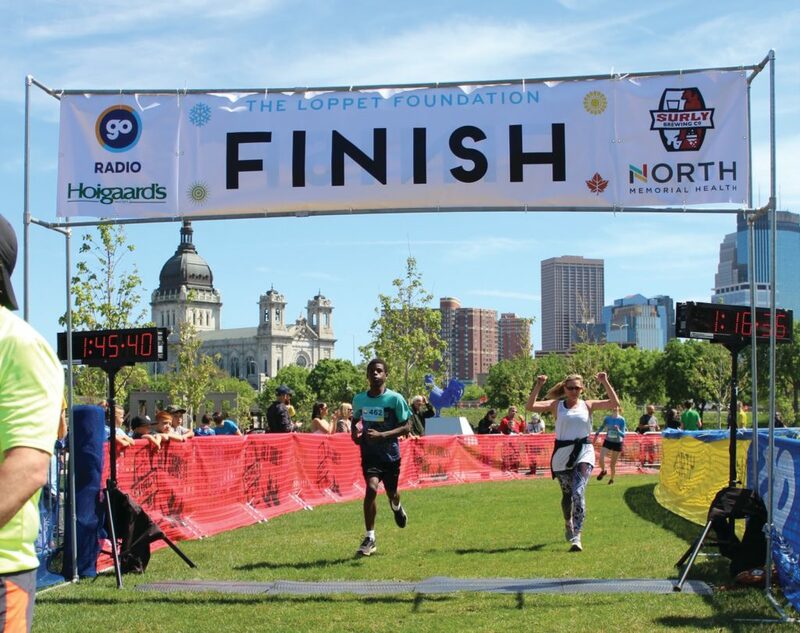 Funds will be used to support the Loppet’s work to get people outside and active — no matter their age, background, or ability. This year, we’ll welcome thousands of people to Wirth Park at The Trailhead, our new home-base for outdoor adventure. More than 20,000 people will experience the outdoors through our year-round events, classes, clubs, and our nationally ranked racing team. More than 2,000 kids will get outside and active through our youth programming, including more than 1,300 underserved kids in North Minneapolis. In partnership with the Minneapolis Park and Recreation Board, we’ll improve and maintain miles of mountain bike and ski trails. And with your help, we’ll do so much more in the coming year. Your support is what makes all of this possible!